This Boston-area residential addition project gave us an opportunity to work with a classic early 20th century house type - the American Foursquare. In need of extra space for their growing family, our clients wanted an addition that integrated with and respected the original 1930 brick house. Our design seeks to reinforce the solidity and symmetry of form of this period home. 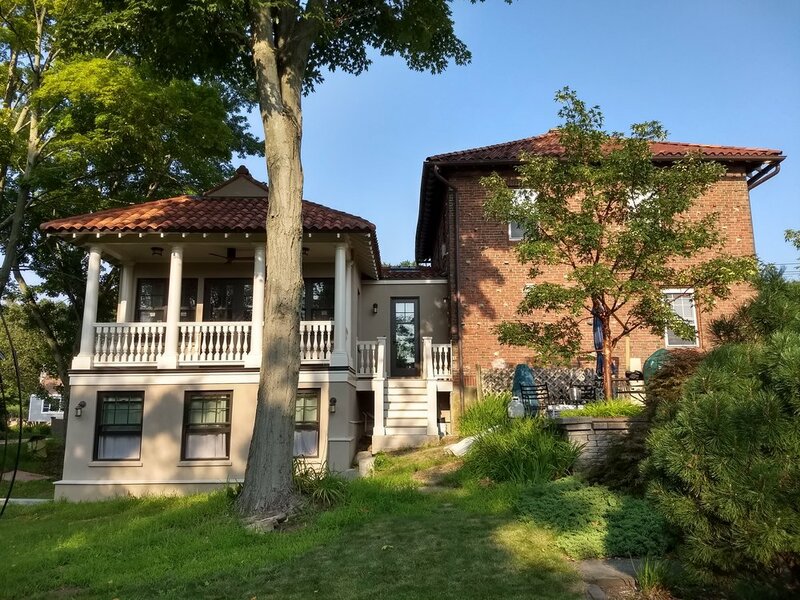 Drawing inspiration from the original design, we incorporated architectural elements such as terra cotta roof tiles, a hipped roof with wide overhanging eaves, ornamental rafter tails, and Classical columns.